What was not so impressive was watching the stress these children experienced. The emotions they were feeling were bubbling under the surface (some cried) and yet the parents seemed to focus on scores and winning. The children were also interested in winning and siblings were true to form in their competitiveness. However this TV show illustrates why our education system is crumbling and how our society at large is in danger of becoming extinct. 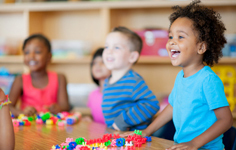 We are placing all the emphasis on academic results and overlooking (or avoiding) the need to educate our children in how to be emotionally intelligent. Emotional intelligence (a term created by Daniel Goleman – psychologist and science journalist) is our ability to notice what we feel as we feel it and allow it. Many refer to this in their mindfulness practice. If we ignore our emotional state or don’t teach our children how to process difficult emotions, we create future problems for them and us. 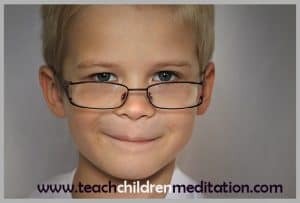 In my Connected Kids programme I dispel what I see as a myth that we should teaching kids meditation so that they always feel happy. We can’t manufacture happiness by ignoring strong emotions (like frustration and anger) – we simply teach children to cover them up. This leads to children becoming teens who turn to alcohol and drugs (or other destructive behaviour) to deal with difficult feelings but who have no idea what to do about them. 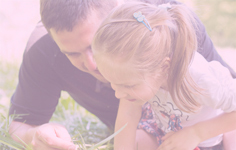 Teaching kids mindful meditation is empowering them with the ability to be a whole person – to honour what they feel and to realise they have a choice in each situation – eg not just learn to react. First we have to teach them (through mindfulness) that there is a choice in what we think, what we feel. Without these life skills, we’ll watch behaviour in schools deteriorate as children find it increasingly difficult to regulate their behaviour and miss out on school and further education. If we don’t act now, we will miss the opportunity to teach young people the importance of combing logic and creative thinking (as their pre-frontal cortex will be underdeveloped) and this will limit their ability to problem solve and plan (executive functioning). So you see, being emotionally intelligent is very, very important. 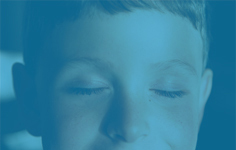 This insightful video from Daniel Siegel MD explains the neuroscience in helping our kids both academically and emotionally by teaching them mindful meditation. The science is now proving what our intuition has been telling us all along; we need to bring in some additional ‘r’s – reflection, relationships and resilience. In today’s fast-paced, overwhelming society, we need to teach future generations these life skills in order to thrive and cope. Meditation is such a life skill and the sooner we realise this, the more secure, more happier and FULLY INTELLIGENT our children and teens (and future societies) will be. That’s a legacy I want to leave. How about you?